Facing north towards O.R. Tambo International Airport, this water park in Boksburg was reserved for the use of the ‘white’ population during the apartheid era. Situated between Clifton and Camps Bay, Maiden’s Cove was one of the few beaches on the Atlantic seaboard reserved for the exclusive use of the ‘coloured’ population. 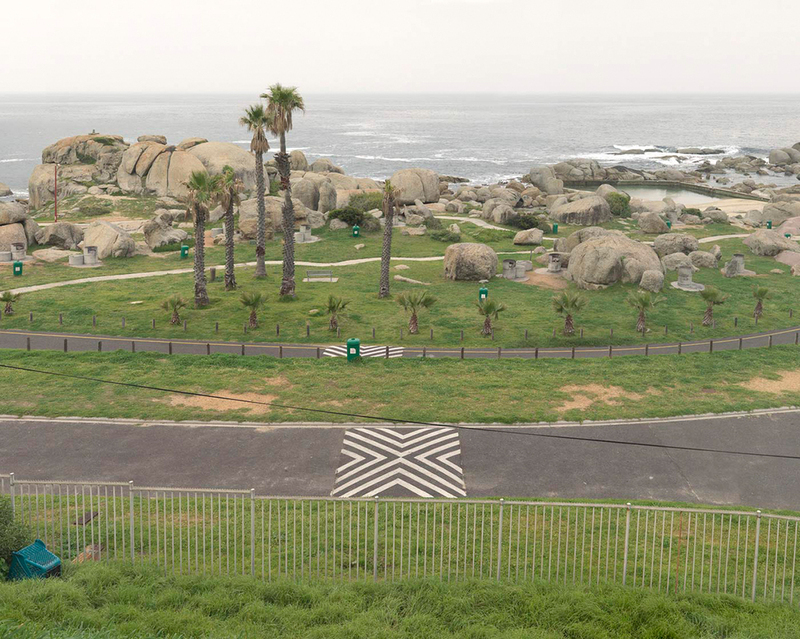 During apartheid, a fence was erected between Maiden’s Cove and Bachelor’s Cove (a beach used by the homosexual community) as a means of keeping these two groups separate. The industrial port of Port Elizabeth was used as a buffer zone between the beach reserved for the ‘black’ population to the north, and all beaches south of the coal depot which were previously reserved for the exclusive use of ‘white’ people under apartheid. The ATKV (Afrikaans Language and Culture Association) still owns a substantial part of Hartenbos today. The facilities were reserved for the exclusive use of the ‘white’ population during apartheid. Facing westwards from Soccer City and surrounded by the Crown Mines dump, this area was originally intended as a water park for the exclusive use of the ‘black’ population of Soweto during apartheid. Shareworld was never completed. Michel Foucault said: "A whole history remains to be written of spaces – which would at the same time be the history of powers." 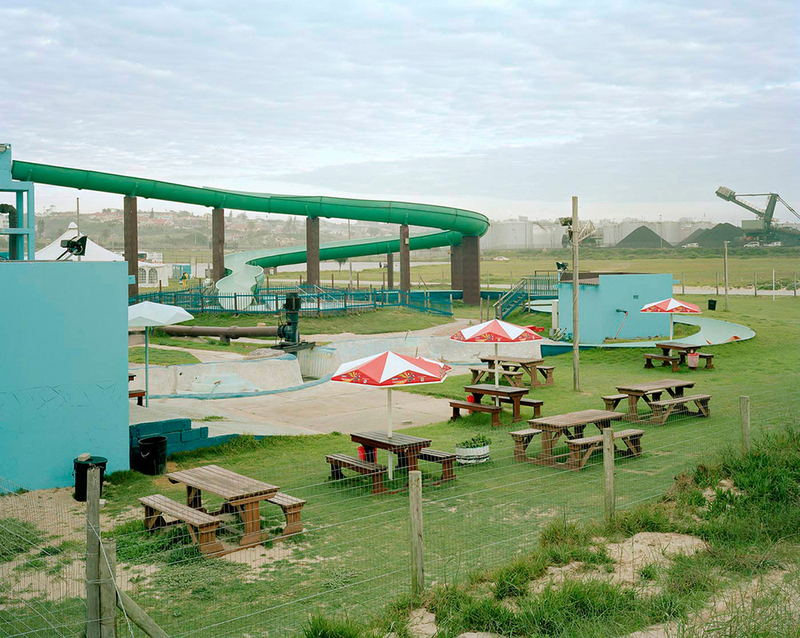 This body of photographs examines the way in which the landscape was constructed to enforce separation, in the form of separate amenities, during the time of apartheid in South Africa. These recreational spaces previously functioned as separate facilities for different racial groups on every level of society, including separate beaches, parks, walkways and swimming pools. By exploring this landscape, constructed through political, social and psychological factors, a view can be obtained of how the physical structuring of the landscape has been altered to implement control and separation. It reflects a level of social engineering, through a flawed political system of racial segregation, which has led to spaces of ambiguity, incongruity and ultimate failure. My practice is situated within the notion of the landscape as a construct and I view my images as photographic constructs which foreground the ideologies of those who created these spaces. The philosophy of segregation inherent in these apartheid structures reflects elements of control, fear and power: elements which today acts as evidence of a time and modus operandi of the creators of that system. Vincent Bezuidenhout is a visual artist born in Bloemfontein, South Africa. He holds a Masters Degree in Fine Art from the Michaelis School of Fine Art, University of Cape Town. He was the recipient of the 2010/11 Tierney Fellowship, which led to his first solo exhibition at the Whatiftheworld Gallery in 2011. In 2013 Bezuidenhout was awarded a bursary to attend the Photoglobal Programme at the School of Visual Arts in New York City. His work is included in a number of public and private collections throughout the world. He lives and works between Cape Town and New York City.